When they weren’t on the move they lived in Pasadena, California, where Keith was Chief Technology Officer for the University of Southern California Medical Center, and Tina had her own practice as a Traditional Naturopathic Doctor. “We first heard of Cuenca and the whole expat life while on vacation in Antigua, Guatemala,” says Keith. 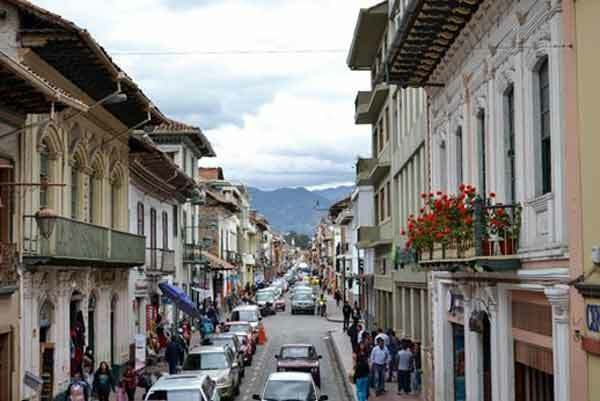 Their curiosity led them to look online for the best places to live and Cuenca came up as number one and Antigua was number 10…so they began investigating. Keith and Tina made an exploratory trip in November 2015, and found that Cuenca ticked all the boxes for a retirement destination: low cost of living…temperate climate…fresh produce…walkable city…and friendly people. The couple quit their jobs, packed up a container, and moved to Cuenca in January 2016. From the moment they arrived, they knew what they wanted. “One of the requirements for an apartment was that we were 15 minutes walking distance to El Centro (downtown),” says Keith. “We walk into colonial Cuenca all the time and love it.” The couple also has a huge terrace which allows them to enjoy the spring-like temperatures of Cuenca year-round (high 70’s F and low 50’s F). “Since we love to travel, we decided to start a travel blog that talks about retiring early and living abroad,” explains Keith. They spent the first year building an audience before monetizing by selling advertisements on the site. Their website, retireearlyandtravel.com, has exceeded 4 million visitors, and a single post has the potential to reach over 3 million people. But Keith says, “We prefer to barter for travel in return for a blog about a destination.” In fact, at the time of our interview, Keith and Tina were vacationing in Mexico. “Cuenca is a great place to work the creative side of yourself,” says Keith. “The pace is slower, there are lots of creative people, and plenty of learning and support opportunities—especially writing,” he adds. 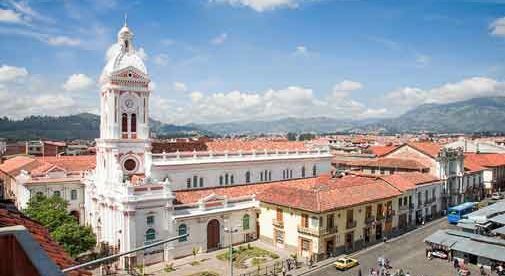 He also admits that, given all the colonial charm of Cuenca, his favorite place to write is in his office with his two dogs laying on top of the desk. “However, when I need a little creativity boost, I take my laptop to one of the sidewalk cafés and write,” Keith says. The couple’s stress load has been reduced by 100% (50% by retirement…and 50% by living in a city that moves at a slower pace). “Long meals…siestas…and friendly people have all contributed to our stress reduction,” says Keith. The world is their playground and Ecuador is home…for now. “I think if we knew about the expat life and living abroad earlier in life—we might have made retirement a priority even sooner,” says Keith. For now, the couple is enjoying the best of both worlds: early retirement and travel. It simply doesn’t get any better than that.